Acrylic on mylar | 24" × 18"
Lee was a prolific artist who touched the hearts of my people. He taught at many Art Associations throughout New Jersey and privately. Lee exhibited in over 200 solo shows as well as many group shows, including the Smithsonian Institute. 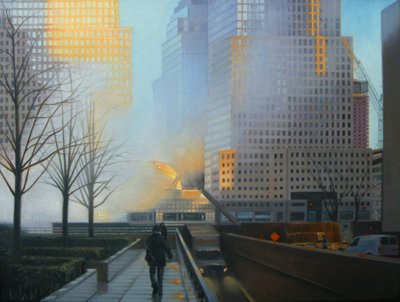 He earned well over 200 awards for his watercolor, oil and acrylics. 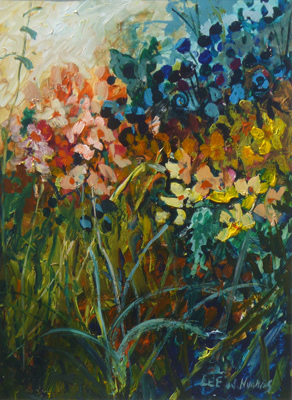 His paintings hang in many art collections such as in Zhejiang Museum, China, Morris Museum, Seton Hall University, Delbarton School, Gill St. Bernards and numerous corporate headquarters throughout New Jersey, including the Peapack Gladstone Bank, Nabisco, Inc., Sandoz Pharmaceuticals and extensive private collections all over the world. Oil on canvas | 12" ×16"
Lilian Cheviot was an English painter who flourished from 1894 to 1924. She is well known for dog portraits, and terriers were a favorite subject. She lived in Molesey, Surrey and Kensington. She studied at Calderon's School of Animal Painting and Walter Donne's Life School and exhibited at the Royal Academy of Arts 1895-1899.
in Rotterdam, Holland. He studied at the Royal Academy of Fine Arts in The Hague, Holland, under George Hacker; Garlobini, Guardaciona; and Mancini in Italy. He also studied in Germany. © 2016 The Connoisseur Gallery Inc. All copyrights for the images of the works on this site remain with the individual copyright holders. Reproductions for works must be cleared through The Connoisseur Gallery Inc. Reproduction, including downloading of the works, is prohibited by copyright laws and international conventions without the express written permission of the individual copyright holders.